Isaac and his wife, Morgan, are full-time intercessory missionaries who serve at the International House of Prayer of Kansas City, Missouri. They have five children. 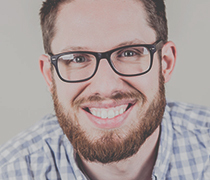 Isaac is the director of Student Ministries and Awakening Teen Camps; he is also an instructor at the International House of Prayer University. The Bennetts’ heart is to see day-and-night prayer established across the earth and the next generation called into wholehearted love for Jesus.